The Arfak Mountains Regency developed a spatial plan establishing a nature reserve in the mountains in order to preserve their threatened ecosystem. While this project serves a good cause, it creates problems for West Papuans who have been farming in the area for generations. This may also lead to the destruction of forests and expose indigenous communities to risk. A half-kilometer south of the village of Demaisi, Yohan Ullo pulls weeds from his garden. The 50 square meters of land was only recently cleared for planting. However, it has been in the rotation of his family for many generations. Ullo monitored the organic buildup of the soil for several years before deciding it was time to cut back some of the trees to bring light to the soil where he could plant a fresh round of crops. Ullo systematically rotates through four plots, each roughly 50 square meters. While the field he abandoned last year is left to rest and regrow, he thins another plot, using the wood for cooking and house repairs. Depending on soil fertility, a plot can support crops for one to three years, after which point it will be left to recover for up to six years. Land designated for gardening plots is called “susti'” in the local language, while the core area of protected forest is called “bahamti.” The “bahamti” serves as a nature reserve, and it is forbidden to hunt or harvest trees from it. Between the two, is a zone called “nimahamti”—also densely forested, but in which hunting is allowed, with proper permission, but gardening is not. Anyone caught violating the restrictions of the core “bahamti” is required to pay a penalty, often of durable goods or tools, explains Yacob Wonggor, the head of the local tourism department. He says the fine can reach the equivalent of several thousand dollars. Through this system of community protected areas, and family agricultural rotation, the indigenous people have maintained their way of life and the health of the forest for as long as anyone can remember. Unfortunately, this system is under threat. In 2012, the government established the Arfak Mountains Regency, fostering a rapid increase in development and population. As the government establishes development zones, many fear the rights of the indigenous people will be ignored. The newly developed spatial plan calls for an 82,593-hectare nature reserve in the Arfak Mountains. The area is home to more than 110 species of mammals, 350 species of butterflies, and 320 species of birds, including five endemic species, such as the Arfak bird of paradise (Astrapia nigra). Protecting the area sounds great on paper, but if it is designated as a preserve, Yohan and his fellow farmers will be barred from using the land they depend upon for survival. Analysts fear that if the people lose access to the land they have been cultivating historically, they will be forced to open forest in other areas that may not be as well suited for agriculture. Charlie Heutubun, head of the State University of Papua’s Environmental Research Center, worries that this migration, combined with increasing demands by a growing population, will tax the soil beyond its limits. “This is going to become a very serious problem, especially given the high altitude and severe topography of the area,” Heutubun said. The area is an average of 1,175 meters (3,800 feet) above sea level. 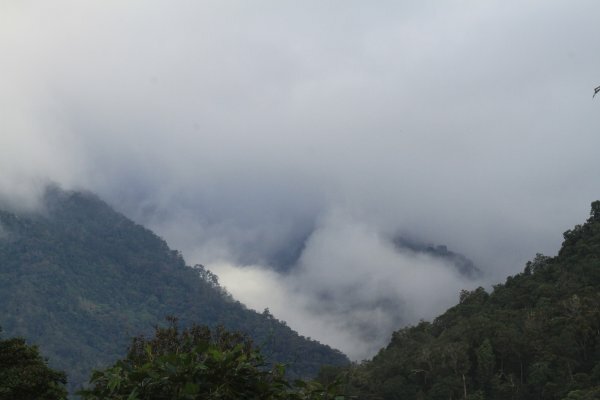 George Dedaida, an activist with the NGO Papuan Conservation, also fears that the development pressures will result in over-use of the land, potentially causing flooding and landslides.